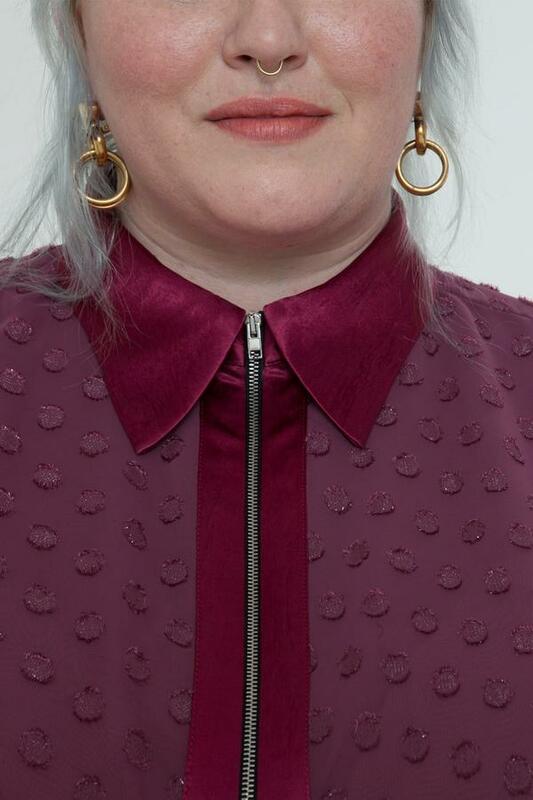 The lack of luxury and high end plus size clothing has prompted quite a few OpEds and passionate twitter threads over the last couple of years. Despite the clamor for clothes, luxury designers and fashion houses have been slow to expand their sizes ranges. And while 11 Honoré (a sort of Moda Operandi for plus), has helped over 50 luxury and high end designers expand their size range, almost all of those brands haven’t gone above a size 20. Aaand, that’s a “high fashion” 20, which generally is around a “regular” 14 or 16. 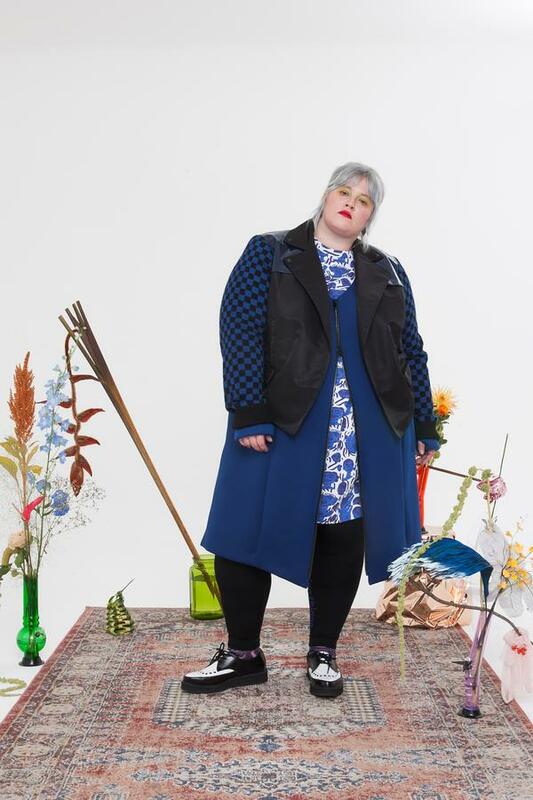 When going past a size 20, nearly all established brands launch a diffusion line or collection with the help of a plus retailer. 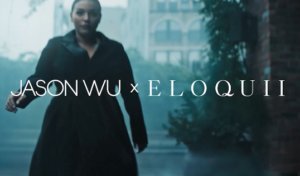 See Anna Sui x ModCloth, Jason Wu partnered with Eloquii, Prabal Gurung with Lane Bryant, etc. 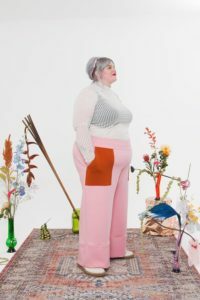 While it’s awesome that these collabs exist (hopefully providing the insight needed so these designers permanently add plus sizes in their houses), it’s not the same as buying luxury. 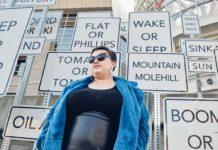 If a plus size shopper wants to buy luxury clothing in her size, especially if she’s past a size 20, she’ll likely have to place a special order. 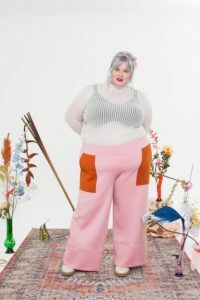 And if she wants fashion forward or, dare we say, *experimental* clothing that’s also high end AND in her size – well, honey, just let that dream go. Named after the founder and designer, Tamara Malas has brought high end fashion forward clothing in unapologetically bright and eye catching pieces, from sizes 14 to 32. When I first saw Tamara Malas start gaining buzz on social media (s/o to Curvy Con), I just had to learn more. I had QUESTIONS!! 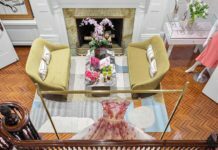 Whenever a new designer enters the scene, I always ask, “Where did they come from?” A designer’s professional journey through the world of fashion can provide a sort of roadmap as to how they concepted their designs. After graduating from The School of the Art Institute in Chicago (SAIC), Malas worked for Dazed & Confused Magazine in London. Following that, she move to New York City to work as a design assistant for various high end brands. Her fashion career was on an upward trajectory, and frankly, she was killing it. “Between styling and designing for straight sized brands and clients, something felt off/wrong with my contribution to the work I was partaking in,” Malas says. Malas credits getting help for her eating disorder as a catalyst for learning to love herself – leading to the creation of her brand. “The Tamara Malas line was very much born from my own self love journey,” she says. As a plus size person who loves fashion, I deeply empathize with this. Viewing fashion collections, scrolling through Instagram and wanting to purchase clothes – but being unable to – is heart wrenching. It’s a strange and terrible barrier, to want to participate in the communication around fashion, to communicate using fashion on one’s own body – but be denied it. But Do Plus Size Women Buy Luxury? 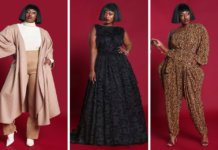 Probably the most common “Devil’s advocate” question that plus size women, brand reps and aspiring designers receive is, “Do plus size women buy luxury?” Malas also considered this question when creating her line. “This was a big part of my research prior to starting the brand. The truth of the matter is, I very much am my own customer,” she says. Malas knew she wanted high end clothing, and she knew she wasn’t alone. I appreciate Malas’ aesthetic, because it puts forth new ideas. It has something to add to the conversation that is fashion, it offers what many plus size brands don’t: a point of view. Malas has hit a home run with her line: There is not a brand offering these kind of pieces, at this price point, in this size range on the market. The fabrics in the Tamara Malas line are luxurious. Malas pulled fabrics from all over the world, such as high quality Japanese fabrics that comprise the Tuesday Shirt Dress to the llama fibers woven by women in Bolivia that make up the sleeves on the Dana Two-Piece Coat. 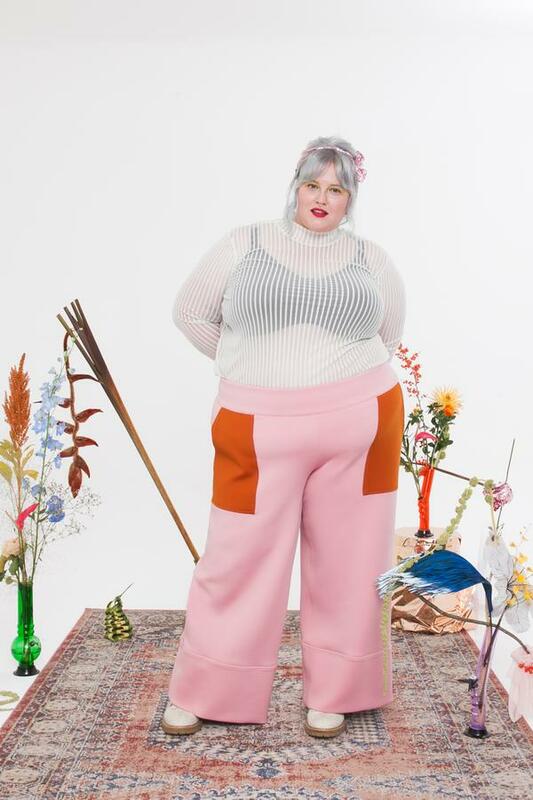 I can understand the hesitancy from some folks about wearing a few of these pieces on a regular basis, but I know I’d rock those pink pants all over the streets of New York City any day of the week. 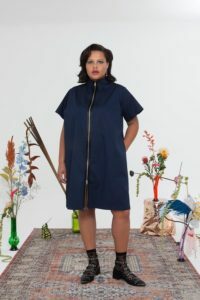 Malas is a size 22/24, which “which is on the higher end of the plus size range and often a 22 or 24 is the cut off size.” Malas wanted plus size shoppers who are normally “sized out” of lines to be able to purchase a Tamara Malas piece. She launched offering all pieces in up to a size 32 – something that’s all too rare in new brands. View the line at TamaraMalas.com. 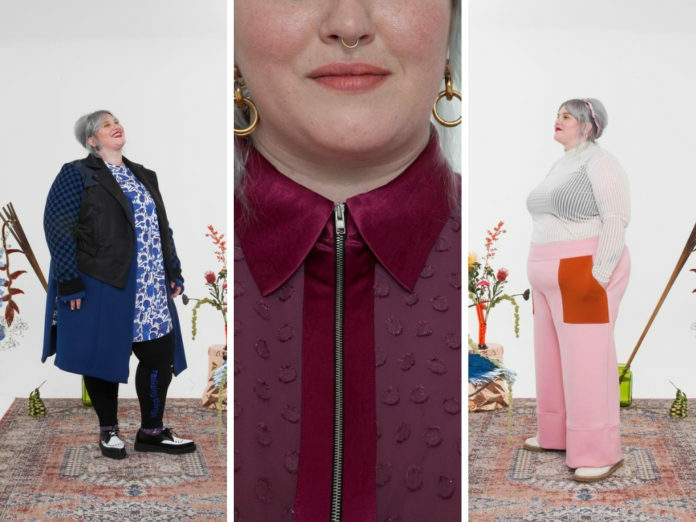 If you’d like to keep in touch, be sure to subscribe to my weekly newsletter, so you’ll stay up-to-date on new brands and plus size fashion content! NOTICE: This post may contain affiliate links, from which I earn a small commission. All opinions are my own, and I only recommend products I believe in.